News — Seniors' Insurance Services, Inc.
Centers for Medicare and Medicaid Services (CMS) recently issued a reminder regarding the New Medicare Card (previously called the Social Security Number Removal Initiative). CMS will be removing social security numbers from Medicare cards in an effort to fight identity theft and safeguard beneficiaries. Starting April 1, 2018 these new cards will begin to be issued with your new Health Insurance Claim Number in place of your Social Security Number, there is no action you need to take to get your new card. The CMS website is a great resource for information regarding this change! But, as always, feel free to call our office at 1-800-535-1310 with any insurance questions and our staff will be happy to help you! Bring this around to your next brunch get together, it is a guaranteed hit! 1. MELT the butter in a medium nonstick skillet over medium-high heat. Add the onion and sugar; cook, stirring occasionally, until the onion browns, 6 to 7 minutes. Add the broccoli, basil, and oregano. Cook, stirring occasionally, until bright green, about 2 to 3 minutes. Pour in the water and cook until evaporated, 1 to 2 minutes longer. Remove from the heat. 2. COAT an 11" x 7" baking dish with cooking spray and arrange one-half of the bread in the bottom with all the triangles facing the same direction. Spread the broccoli mixture over the bread in a single layer, then top with the Swiss and Parmesan cheeses. Arrange the remaining bread in the dish with the triangles facing in the opposite direction. In a bowl, combine the eggs, egg whites, milk, mustard, and pepper. Pour the mixture over the bread; press on the bread to help absorb the milk mixture. Cover and refrigerate for 2 hours or overnight. 3. PREHEAT the oven to 350ºF. Bake the strata uncovered for 55 to 60 minutes, or until puffed, golden, and a knife inserted into the center comes out clean. Let stand for 10 minutes before serving. Feel free to call our office at 1-800-535-1310 with any insurance questions and our office staff will be happy to help you! The Center for Disease Control and Prevention states that getting an annual flu vaccine is the first and best way to protect yourself and your family from the flu. Flu vaccination can reduce flu illnesses, doctors’ visits, and missed work and school due to flu, as well as prevent flu-related hospitalizations. The more people who get vaccinated, the more people will be protected from flu, including older people, very young children, pregnant women and people with certain health conditions who are more vulnerable to serious flu complications. Also according to the CDC, in the 2016-2017 influenza season roughly 70% of flu cases that required hospitalization were in adults 65 and over, of those hospitalized less than 15% had been vaccinated. Overall, vaccination reduces a persons risk of severe influenza by 42%. Ask your doctor or pharmacist about getting your flu shot! COBRA – What is it and Why is it important? COBRA is the Consolidated Omnibus Budget Reconciliation Act, this act allows you and immediate family members to temporarily keep workplace health insurance under certain circumstances. COBRA comes into play if you lose or quit your job, you divorce the employee, employee death or you are no longer covered as a dependent due to age. Here is a detailed list of qualifying circumstances. COBRA does not apply to everyone and coverage can be very expensive. COBRA doesn't apply to employees who have been let go due to gross misconduct, many religious organizations do not fall under COBRA and it only applies to employers who had 20 or more workers in the previous year. According to the Office of the Insurance Commissioner, "Employees who select COBRA must pay the entire premium including the portion previously paid by their employer, plus a 2 percent administrative fee." The Insurance Commissioner website also suggests looking to the Washington Health Plan Finder before turning to COBRA to see if you are eligible for a different plan through there. Importantly, COBRA rules are different for those 65 and over. While prior to 65 individuals can remain on COBRA for 18 months, 65 and over can only stay on COBRA for 8 months. 3 months prior to COBRA ending, individuals 65 and over need to be applying for Medicare Part A and Part B to ensure proper coverage post COBRA. Failing to apply for Part B at this time only allows people a general enrollment period from January 1 to March 31 for a July 1 effective date which often leaves people uncovered. 1 large red onion, thinly sliced. 1 red pepper, cored, de-seeded and thinly sliced. 1 yellow pepper, cored, de-seeded and thinly sliced. 450g (14 1/2 oz) skinned chicken breasts, sliced into thin strips. 1/8th teaspoon mild chili powder. 1/2 iceberg lettuce, finely shredded. 1 small red onion, finely chopped. 425g (14oz) small vine-ripened tomatoes. Large handful of fresh coriander leaves, chopped. First make the pico de gallo. Combine the red onion, tomatoes, garlic and coriander leaves in a bowl. Season with black pepper, then cover and chill for 30 minutes to allow the flavors to develop. Heat the oil in a wok or large nonstick frying pan. Add the onion and peppers and stir-fry for 3-4 minutes. Add the chicken, paprika, chili powder, cumin and oregano and continue to cook for a further five minutes, or until the chicken is cooked through. Meanwhile, wrap the tortillas in foil and warm in the oven for five minutes or according to packet instructions. Spoon one-quarter of the chicken mixture into the center of each tortilla, add a couple of tablespoons of tomato salsa and the shredded lettuce. Roll up and serve warm. An estimated 44 million people in the United States, which is 55% of the adult population over the age of 50, have osteoporosis or are well on their way to it having low bone mass. Many individuals wrongly believe that osteoporosis is a natural part of aging that only affects women. In reality, one in three and one in five men over the age of 50 develop osteoporosis. Another common misconception is the belief that bone loss cannot be treated once it starts. Again, this is false, under medical guidance strength training can make bones stronger. Talk to your doctor on your next check up to see if you are at risk and are someone who should get a bone mass measurement, a test that Medicare covers under preventive care. Medicare has a great short video that you can see here to learn more about what Medicare can do for you to help prevent osteoporosis. How Much Do You Know About High Blood Pressure? The CDC recently wrote a report on little known facts regarding blood pressure, we thought we'd pass some of the information along as there are some very important facts, if you have any concerns call your doctor! Recent studies show that high blood pressure may be linked to dementia. These studies have found evidence that suggests that having uncontrolled high blood pressure during midlife, ages 45 to 65, creates a higher risk for dementia later in life. High blood pressure does not only occur in older adults, roughly one in four men and one in five women ages 35 to 44 has high blood pressure. High blood pressure, also known as the "silent killer," often times has absolutely no symptoms. Talk to your doctor about your risks for high blood pressure! About 11 million adults in the United States have high blood pressure and aren't even aware of it. Next time you go to the doctor, ask them what your numbers are and what they mean, stick to any treatment plan and follow your provider's advice. The National Institute of Neurological Disorders and Stroke is educating people on the importance of controlling high blood pressure in midlife with the campaign Mind Your Risks. Instances of stroke are on the rise in younger people as a direct result of rising obesity, high blood pressure and diabetes rates – all of which are preventable conditions. Younger people should get their blood pressure checked yearly. Simple ways to help keep your blood pressure in the healthy range include eating a healthy and balanced diet, maintaining a healthy weight, physical activity, not smoking, and limiting alcohol. 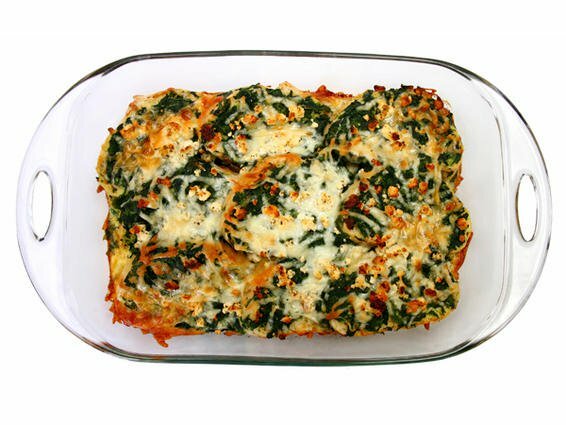 Here's another fantastic one-dish, heart healthy, meal from the American Heart Association. They've eliminated some of the peeling and chopping by using red potatoes and baby carrots rather than normal baking potatoes and large carrots. Beef stew is a fantastic Friday night meal or a great freezer meal for those nights you know you won't feel like cooking, give it a try! Stir all ingredients together and add approximately one cup warm water in a Dutch oven or slow cooker. Cook on low for 4 to 6 hours or until vegetables are tender. April of 2018 Medicare will start sending out new cards to individuals that no longer use the social security number in an effort to curb identity theft. Be aware that there will be no charge for the new Medicare card and Medicare will never call you for your information as they already have it! Scammers have taken advantage of the idea that people will be getting new medicare numbers and are calling individuals in an effort to steal their information. Often times these calls consist of scammers pretending to be with Medicare and asking the beneficiary to confirm their medicare information before they can receive their new card. When in doubt, hang up and call the organizations main number yourself. If you do not get the same information upon calling back, and are unable to find the original person you spoke with, report it! If you think you have been affected by this scam report it immediately to the Washington State Senior Medicare Patrol with the Statewide Health Insurance Benefits Advisors (SHIBA) program at 1-800-562-6900. Remember, Medicare will not contact you for this information as they already have it and any contact you receive from persons claiming to be Medicare should be reported to 1-800-562-6900. Visit the Office of the Insurance Commissioner website for more information on this scam. Recent studies show that replacing one meal a day with a healthier option can help reduce your risk of heart disease. Next chili night try out this slow cooker turkey and black bean chili recipe from the American Heart Association! Directions In a large bowl, stir together all ingredients. Divide the chili between two 1-gallon freezer bags. Place bags flat in freezer and freeze. Cooking Directions Thaw bags overnight in refrigerator. Pour contents of bags into slow cooker. Cook, covered, on low for 6 to 8 hours, or until the turkey is no longer pink and beans are tender.